Tree House Movies is a local business in Louisville and has 3 Kiosks in Boulder. We chose the locations because of their local ownership/management and high quality of service. Our goal is to provide movies to a community of renters who will have an opportunity for direct feedback and recommendations to us. 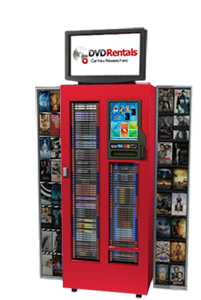 We will monitor the pattern of rentals at each kiosk and combine that information with recommendation from you to order new movies. We load new movies into each kiosk weekly and welcome your feedback at any time.